Plumbing problems can strike at anytime and with most modern buildings, be they residential or commercial. At Beacon Plumbing, we can fully understand the hesitation Puyallup’s residential and business proprietors have in calling a local plumbing contractor, wary of the bad experiences associated with their shoddy workmanship and overpricing. Check out our reviews online and we will help you make the right decision. Read our Plumbing Reviews in Puyallup. It is only the ever mounting stress of the plumbing problem and its associated consequences which forces many of the residential and business proprietors in the cities of Auburn, Buckley, Puyallup and Sumner to hire thee unscrupulous contractors, who implement temporary fixes for the problems which are bound to repeat themselves, often incurring significantly higher expenses in the process. At Beacon Plumbing, we not only fix the plumbing problem faced by our customers in Auburn, Buckley, Puyallup and Sumner, we implement a solution which is durable, allowing the residential and business proprietors to have the ease of mind that comes whit the knowledge that the problem will no longer repeat itself barring an extremely extenuating set of circumstances like natural disasters or physical trauma. With the large amount of experience they have accumulated in serving customers across Auburn, Buckley, Puyallup and Sumner, Beacon Plumbing’s team of plumbing technicians are ready, willing and fully able to handle any kind of plumbing problem on your property. Our clients have always marveled at the level of professionalism with which Beacon Plumbing’s team of fully certified, licensed, well experienced, trained and insured plumbing technicians delivers the services they have requested. Please read this Plumber Review in Auburn. At Beacon Plumbing, it is common knowledge that a plumbing emergency, be it a small leak in a faucet or a busted sewer pipeline, will not send an invitation to the property’s owners before escalating, striking out at the most inconvenient of times. So we decided that if emergencies can come round the clock, so can we. 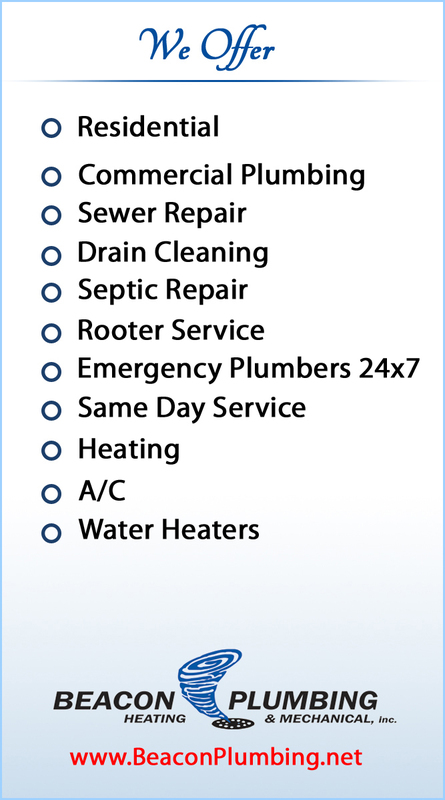 Our plumbing solutions are available to our clients 24 hours a day, 7 days a week. Our expert plumbing technicians will come to your home, understand exactly what problem(s) you are facing, perform a diagnosis of the problem to identify the source and then give you a transparent estimate to let you know how much a repair operation like this one could cost before commencing. Our customers have thanked us by showering us with praise and recommending us to their friends as well. We are proud of the testimonials and reviews of the services offered by Beacon Plumbing and encourage all those residential and business proprietors looking for a one stop solution to their plumbing problems to see for themselves how the plumbing technicians from Beacon Plumbing can help them out. A plumbing problem is something all of Enumclaw’s business and residential property owners dread. Since most of Enumclaw’s architect’s have designed the residential and commercial buildings in a manner to maximize the available living space, the plumbing systems of these buildings are often inaccessible to plumbers. This can make repair operations a difficult process for amateur contractors and proprietors who follow a DIY set of work ethics. The professional emergency plumbing repair technicians who form the roster at Beacon Plumbing know fully well that an emergency can strike at a moment’s notice. This observation stems from the fact that in a vast majority of cases, the source of the plumbing problem in question is mostly ignored at first, either due to its seemingly minor stature or inaccessibility. These issues then escalate further and further, causing other effects which might ultimately end up coming to the notice of the inhabitants of that property. To tackle these problems for Enumclaw’s business and residential property owners, Beacon Plumbing’s team of emergency plumbing repair technician’s combines the vast amount of experience they have accumulated in effectively undertaking almost every type of plumbing problems with the most state – of – the – art plumbing technology and a commitment to providing their services around the clock, so that no matter when the problem strikes, how big or complicated it is, Beacon Plumbing can get the job done easily and effectively. • Laundry: Some cloth types can be effectively washed only using heated water. Having a malfunctioning water heater can be attributed to a variety of reasons and can lead to a variety of problems like contaminated water, leaks and heating system breakdown. To effectively handle these problems, Bellevue’s residential property owners can turn to the water heater installation and repair experts from Beacon Plumbing. Our water heater installation and repair team is well versed with the features and requirements of almost every make and model of water heater in use, which ensures that no matter which water heater is installed in the property, we at Beacon Plumbing have the expertise and the technology to handle any problem it might be having. Beacon Plumbing’s water heater installation and repair services go a great way in making sure that the Bellevue residential and business property owners who place their faith in us get the value – laden services they are promised. Our services are available to our customers around the clock, so that whenever you face a problem with your water heater, you can feel free to give us a call and we’ll send someone right over. So give us a call today at 425-679-9500 or check out the Beacon Plumbing website to see for yourself how the best step to take whenever you encounter a plumbing problem of any size is to Stop Freakin… Call Beacon! Those business and residential property owners in Covington, WA who have ever faced a plumbing problem are well aware of exactly how physically, mentally, or financially draining such problematic plumbing operations can be. The core issue with most of the plumbing problems faced by Covington’s business and residential property owners is that thanks to modern architectural designs focusing more on improving space efficiency, the plumbing infrastructure of such buildings is often designed in a way which does not allow for efficient access, let alone repairs. At Beacon Plumbing, our team of plumbing experts developed their extensive experience in handling an extensive number and variety of plumbing issues over a number years and use that developed expertise along with the latest technology to help Covington’s business and residential property owners pinpoint and solve their plumbing problems. At Beacon Plumbing, we believe in delivering the most cost effective plumbing services to all of Covington’s business and residential property owners. With a team of some of the most highly trained, fully licensed and insured plumbing experts who have extensive experience in solving all kinds of plumbing problems, Beacon Plumbing can help business and residential property owners in Covington identify and eliminate all the plumbing problems with great ease. One of the biggest problems faced by Covington business and residential property owners with modern plumbing systems is that the relative invisibility or inaccessibility of plumbing systems on their property. This makes it extremely hard to detect any failures in the system itself until the problem has escalated to the point wherein it has the potential to cause a great deal of rather expensive problems. Minor property damage in the form of leaks and cracks in the walls and foundation or major risks like electrical hazards, fungal and insect infestations can bring the operations of your building to a complete collapse. Avoid the possibility of any such problems on your property by calling the plumbing repair experts from Beacon Plumbing at 206.452.3130 or Visit the Beacon Plumbing Website to see how we can help you. So no matter how maddening any plumbing problem seems, Stop Freakin… Call Beacon! The furnace of a building performs a very important function which is keeping the inhabitants safe from cold weather by effectively warming the entire building. In a city like Des Moines, WA a serviced furnace is essential to keep away the cold spells. However in case the furnace installed in your Des Moines property begins to malfunction or ceases to function altogether, no need for panic. Simply grab a phone and call over the furnace installation and repair experts from Beacon Plumbing, the best furnace repair company in Des Moines. Furnaces work by heating up water, which is then passed through special pipes throughout the building’s architecture to warm up the individual rooms and hallways. A problem in the furnace could go undetected for quite a while, showing its effects in the form of reduced performance and unexplained increases in energy bills. Getting the furnace installation and repair experts from Beacon Plumbing means that your furnace gets the best repair services from the most experienced furnace repair technicians in the Puget Sound region. Since emergencies are prone to striking at the most inopportune of times, the furnace installation and repair experts at Beacon Plumbing are similarly prepared to bring you the most cost – effective and high quality repair services 24 hours a day and 7 days a week. So no matter when you notice that you have a problem with your furnace, you can avoid any more delays by getting the solution to the problem there and then itself. Many Des Moines business and residential property owners employ a do – it – yourself approach to such problems or hire local contractors anytime they see telltale signs of furnace problems like rust and leakages. Without the experience, tools and expertise required for these issues, these business and residential property owners might instead aggravate the problem, turning it into an even more expensive repair operation. The importance of a well functioning water heater cannot be emphasized enough. It makes our lives convenient by providing a regular supply of hot water to serve diverse purposes. And we at Beacon Plumbing have a dedicated team of technicians which ensure that you are able to enjoy its comforts for a very long time. Whether you are looking for installation or Gas & Electric Water Heater Repair services, Beacon Plumbing experts can deliver the desired services at highly affordable prices. We never compromise on quality of service and give utmost importance to provide the most outstanding outcomes matching the needs of our Gig Harbor clients. If you are planning to get a new water heater for your home in Gig Harbor or replace the existing one, then you have an amazing variety of options to choose from. Water heaters are usually operated on either gas or electricity. It is important to carefully evaluate your needs and budget, before getting a new water heater. Taking the assistance of Beacon Plumbing experts can help you in making the right choice when looking for a new water heater. We can assess your needs and then help you find the best water heater of highest quality. Once installed it should be regularly checked to keep any problem at bay. A water heater is a costly investment and it should be kept safe by hiring professionals to take care of the Gas & Electric Water Heater Repair and maintenance needs. These are some of the signs which indicate a problem even in your new water heater system which requires immediate attention. To avoid huge expenses and unwanted inconvenience caused by an inefficient or non functioning water heater, you should pay attention to its regular Gas & Electric Water Heater Repair and maintenance. Timely checks will also keep your investment safe, ensuring that you do not have to pay for costly repairs and replacements. In case you are experiencing one or all of the above mentioned issues in your water heater system then give us a call at 253.655.4599 to get it checked by experienced Beacon Plumbing technicians and get timely solutions. Dealing with a plumbing problem can be really frustrating and time consuming, along with expensive. We understand the inconvenience homeowners have to face due to a fault in plumbing system, which could range from a minor leakage to a broken pipe. The proficient plumbers at Beacon Plumbing are always there to assist you and provide credible services for your every need. We are committed to deliver the most outstanding and satisfactory services to Lakewood residents and ensure their peace of mind which comes from knowing the fact that Beacon Plumbing experts are there to make their life easier with their professional and prompt services. Plumbing emergencies arrive unannounced and delaying the repairs can escalate the problem further. You need to hire a reliable plumber, who can make it easier for you to deal with such problems, at any time when you require. A good plumber can not only solve the issue that you might be experiencing right now but he will also assess the entire set up to ensure that there is no impending problem that might surface later. The plumbers hired by Beacon Plumbing are the reliable local options. We employ only those who have good knowledge and experience of handling plumbing jobs of every type and size. Our plumbers are fully trained and well versed with advanced equipments and practices to make them capable of delivering durable solutions in the first attempt. 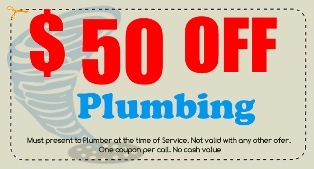 Beacon Plumbing is a renowned plumbing company offering comprehensive services. We have been successful in earning a credible reputation among our clients in and around Lakewood by offering them quality service each time. Plumbing issues, like leaks, can drain you financially in the form of wasted water, high utility bills and costly repairs. Rather than ignoring these issues, you should call Beacon Plumbing experts to get timely and long lasting solutions to your every need. If you are experiencing some issue with your plumbing system then feel free to give us a call at 253.655.4599 and we will be happy to solve any plumbing emergencies that you might have. Your furnace system is crucial for maintaining a comfortable temperature in your Federal Way residence and serving your emergency heating needs, irrespective of how chilly the weather outside is. So you need to pay attention to the regular maintenance and furnace repair to ensure proper and interrupted functioning of furnace system and keeping you safe from facing any inconvenience caused by sudden break downs. We understand the inconvenience it can lead to when your furnace stops working in the middle of a cold day or night. Having a certified and insured company like Beacon Plumbing taking care of the maintenance and repair of your furnaces ensures high quality work, along with your peace of mind. No matter what type or brand of furnace you have installed in your home, we can thoroughly analyze the system to detect any impending issue which might be affecting its efficiency and performance. Our heating technicians will discuss the issue with you and suggest the most suitable solution. Then an estimate is provided to you so that you are aware of the time and cost involved in the furnace repair process. We have been successful in establishing a credible reputation among our clients in and around Federal Way with our fast and efficient service. Our focus lies on delivering long lasting and prompt Emergency Heating solutions which perfectly match the requirements of our clients. Attempting to carry out the furnace repair work on your own can prove costly if you lack the required experience, knowledge and tools. This job is best left to the experts who are aware of the complex system and various parts involved in the furnaces. We are committed to provide unparalleled quality and unmatched services to our clients throughout the Federal Way area. At Beacon Plumbing we employ fully trained and insured technicians to ensure on time and competent service. Our technicians have extensive experience of handling all types of major and minor furnace repair issues which require immediate attention. To avail great and timely service in Federal Way, feel free to give us a call at 206.452.3130 and we will ensure to assist you with our best repair practices and services. Most homeowners are not aware of the common signs which can point towards a looming problem in the sewer system of their home. The issues get ignored and only come on the surface when the situation becomes completely unmanageable. However, by having Beacon Plumbing professionals by your side, you can rest assured that you will not have to face any such scenario in your home. Irrespective of the type or size of the problem in your sewer system, you can completely rely on us for timely and efficient Sewer Repair service. We have the required experience and expertise in handling sewer repair and replacement needs, thus ensuring complete peace of mind of our Bonney Lake, WA clients. Issues like, leakage or clogging in the drainage or sewer system are quite common, but these can prove to be highly difficult and inconvenient to handle without professional help. Our sewer technicians will visit your home or office in Bonney Lake to analyze the problem and detect the underlying cause before beginning the Drain Repair process. At Beacon Plumbing we adopt highly sophisticated and advanced techniques to inspect the issue accurately without causing any disruption to your property or other structures nearby. This thorough inspection enables us to suggest the most appropriate Drain Repair solutions to rectify the problem once and for all. The Residential & Commercial Sewer system is something that is not paid much attention to; until some major issue comes up, requiring the home or office owner to look for emergency sewer repair services. Many people do not realize the amount of money they can save by getting the sewer system of their home regularly inspected. A lot of reasons can be responsible for causing a leakage or clog the sewer system, which can become difficult to detect without the help of advanced tools. That is why we employ specialized practices and equipments to deliver comprehensive solutions. We at Beacon Plumbing are renowned for delivering efficient and prompt services for both Residential & Commercial Sewer systems by utilizing our extensive knowledge and years of experience of serving our clients in and around Bonney Lake. To avail complete solutions for any Residential & Commercial Sewer issues at competitive prices, give us a call at 206.452.3130. Why do you need to hire Furnace Repair Services? As a home or business owner you want to keep the atmosphere in your home or office comfortable and warm and a well functioning furnace system is essential for this. However, its complex parts can develop some issue over time, which can affect its performance and require you to look for Furnace Repairservices. If the furnace system installed in your home is too old or you are experiencing some issues, then it is suggested to get it thoroughly checked to eliminate any chances of a defect or other issue. Keeping the furnace system of your office or home regularly checked and well maintained is essential to improve its efficiency and serve your emergency heating needs. If you notice uneven heating or strange noises coming out of the furnace system then do not delay calling the professionals in Kent to avail prompt and credible furnace repair service. Timely action can save you from any inconvenience or additional expenses later on. After a thorough analysis of the furnace system our technician will be able to detect the underlying cause of the problem and suggest the most durable and suitable furnace repair solution. An estimate is provided to make you aware of the costs involved in the process. We ensure peace of mind of our clients by providing them guaranteed emergency heating system repair services every time. Quality, integrity and reliability are the factors which have enabled us to create a niche in this competitive industry. We give priority to the convenience of our clients and ensure to reach at your place at the scheduled time. Our heating technicians are well trained and equipped with advanced equipments to deliver unmatched repair service for furnaces to our clients in Kent. High utility bills and lower efficiency are the prominent side effects of improperly working furnaces, along with posing a threat to the safety of the residents. By rectifying the issue in the first visit, we make sure that it will not cause any inconvenience to you and your family in future. Feel free to give us a call at 253-220-6100 to avail assured service by our certified technicians.